This recipe is one of those ideas. 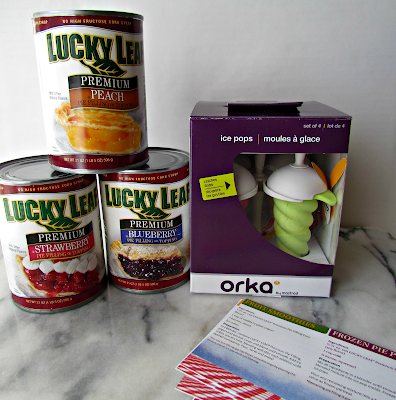 Then I got an email from a company called Lucky Leaf. Have you heard of them? They make premium pie fillings for fruit and cream pies, as well as applesauce and apple juice. They make PIE FILLING, yo. I mean, could it have been a more perfect fit? I responded to the email so fast I think I got carpel tunnel. I waited (im)patiently for my box to arrive. And to my absolute, sheer delight, I received a can of their blueberry pie filling! Also, they shared strawberry and peach, as well as a cool ice pop mold and some recipes. But you know me and recipes. I, um, don’t follow them. 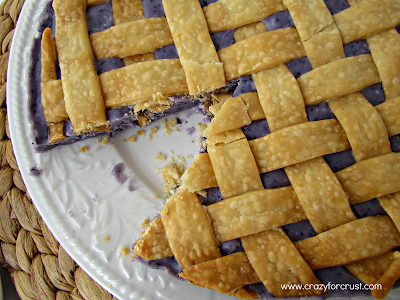 So anyways, after I got over the glee of having blueberry pie filling to play with, I went about making this recipe. My first try was using my traditional fudge recipe (fruit of the Gods sweetened condensed milk and white chocolate chips) and well, it didn’t work. It was almost one of those “bummed” moments. And then I remembered all those recipes for two-ingredient fudge awhile back. You know, the ones that used a can of frosting and chocolate chips? 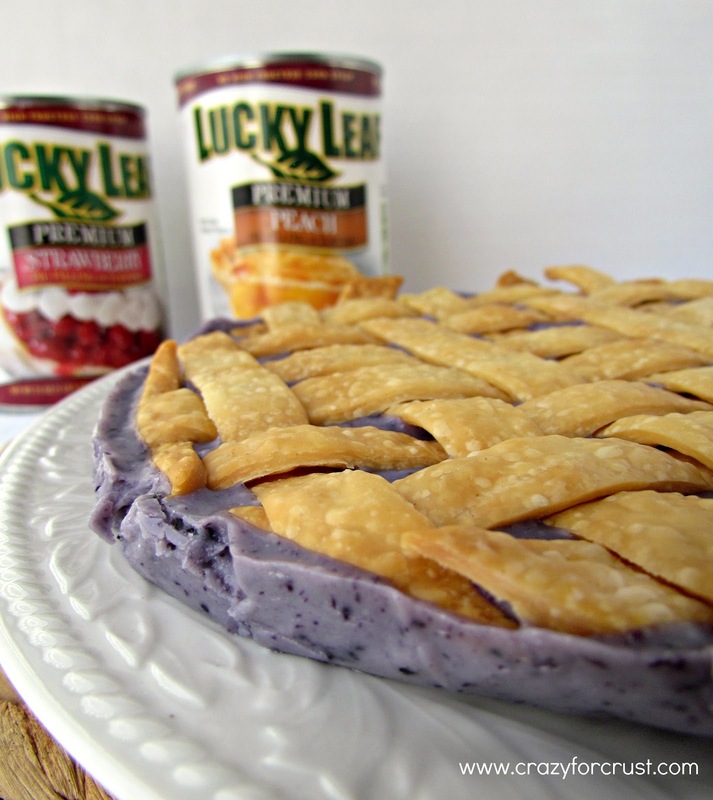 Well, the blueberry pie filling was sorta like a can of frosting. It’s sweet and thick and delicious. So I made two ingredient fudge – with blueberry pie filling and white chocolate. And then I added a lattice on top. 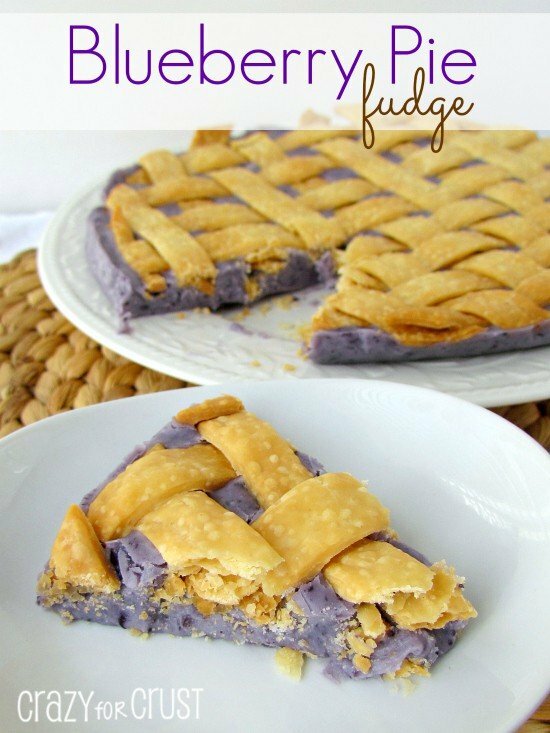 Because it wouldn’t be good fudge without a crust. Definitely an excited moment recipe. And it’s kinda pretty too. 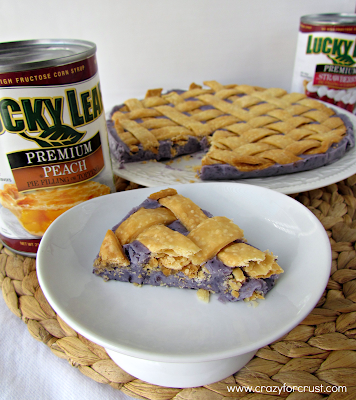 Now I can’t wait to use my other Lucky Leaf pie fillings. Strawberry and peach….now I have some running thinking to do. And I want to get some of their chocolate cream and lemon cream…they sound so good! Working on a cutting board and using a straightedge (I used the side of the pie crust box) slice the pie crust vertically into even slices, about ½ inch thick. Lay out a piece of parchment paper (cut to the size of a large cookie sheet). Starting at the left of the pie crust slices, move every other slice to the parchment paper. Place about ½” apart from each other, so that it looks like a striped pie crust. Weave the rest of your strips into the ones you’ve just laid out, one at a time, to make a lattice pattern. Place a 9” cake pan upside down on top of your lattice. Cut around to make a circle that will fit inside it. Remove excess crust edges, transfer parchment paper to a baking sheet and bake for about 15 minutes, until golden. Remove from oven and prepare fudge. Line 9” cake pan with foil and spray with cooking spray. Place ½ can of blueberry pie filling in a blender and puree. Reserve ¾ cup. Lucky Leaf sent me three cans of pie filling and the ice pop mold for free. All of my opinions about the product are totally my own. Wow, Dorothy, what a creative, fun idea for fudge!! You rock, girlfriend!!! This is very different Dorothy. I have never heard of Lucky Leaf. Where’s the chocolate? Yumm! So creative – and I feel the exact same way about running! 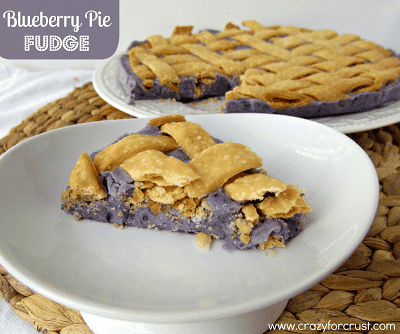 Blueberry Pie Fudge! You are a genius!!! What an amazing idea! Love how it looks like a pie but it is secretly fudge. Where do you come up with these ideas?! Fantastic! I’m obsessed with all things blueberry. You are such a genius in the kitchen! Love this! Thanks so much for sharing at Mom On Timeout! Thank you and welcome! 🙂 I hope you enjoy. Um, hello? First off this is an amazingly genius use of pie filling. Second off an entire pie’s worth of fudge?? I’m so happy right now!! !